Inkling is a mobile learning platform built for the modern workforce. It combines enterprise-grade technology with an intuitive user experience to drive learning, boost efficiency, and analyze performance. Learn how the Inkling team can put our passion and commitment to our customers' success to work for you. 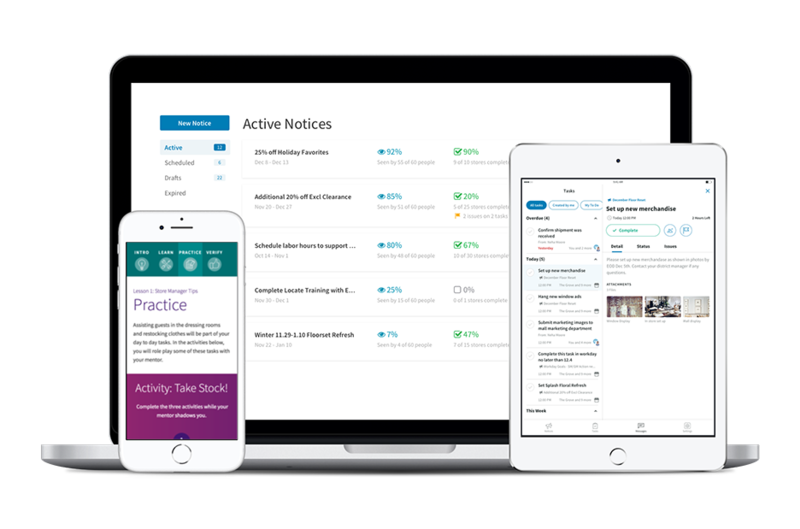 Inkling Learning Pathways modernizes the learner experience with a simple-to-use, mobile training tool. Employees are guided through their training and gain easy access to the resources they need to be successful from day one. Inkling Collaboration drives field execution and gives real-time visibility into performance. It is a mobile platform that helps HQ and the field connect with their teams, making sure everyone has access to the resources and information they need to successfully execute. Dive in to the results of our new survey, conducted by Vanson Bourne, highlighting the benefits of enabling customer-facing employees with digital learning tools. Learn how Hikvision uses Inkling to train its field sales engineers on how to install and troubleshoot their products across the country. Hear from the Director of Global Learning at Verizon Media about how they increased sales by 117% by delivering engaging and interactive digital content. Contact us to get a quick demo of our platform.